Quite a journey it has been, since 2010 when I started my business as a photographer (as Michelle Hamilton!) to 2013 when Ben and I got married and relocated to Denver, to today. I’ve witnessed over 100 incredible birth stories, I’ve snuggled countless newborns, and I’ve followed your families as they’ve grown over the years. You've made my dream possible, you've supported me, and you've entrusted me with your most sacred moments. After 7 years of being on call 24/7, year-round, working as a solo birth photographer, I've finally accepted the advice of so many other birth workers and midwives... I've partnered up with one of Denver's most talented and experienced birth photographers. Together we are sharing call and offering the most reliable call coverage available to our clients. We've mentored together tirelessly to align our technical and creative techniques. I met Kim years ago and have always admired not only her work, but her genuine and truly kind, giving, and peaceful existence. I like to call Kim The Baby Whisperer. She makes everyone feel safe in her presence, and so of course the babies adore her. Kim loves photographing newborn sessions and family sessions with young children. The way their true smiles come through on camera speaks volumes... they love Kim, and Kim loves them! In the birthing space, Kim just clearly belongs there. It's obvious that she truly cares for and believes in women, and I think that's so important. I've seen people attend births, then leave and vent about this or that, complain about an element of the situation, etc. Then, I've seen people not only attend the birth, but hold space for the client in such a genuine and loving manner, there's never any need for negative talk, complaining, or venting, only a true understanding and empathy for the family's experience. That's Kim. I'm excited for you to get to us as a team. We'll soon be hosting regular get-togethers for so you can become more acquainted with us as a family. It's something we've been wanting to do for so long, because we love our clients so much, and we miss those babes! Sign up below for occasional updates and exclusive events available only to existing clients! If you're not an existing client, but you're interested in meeting and chatting with us, we'll have events for you, too! The first step is to get in contact with us, here. We can't wait to get to know you! 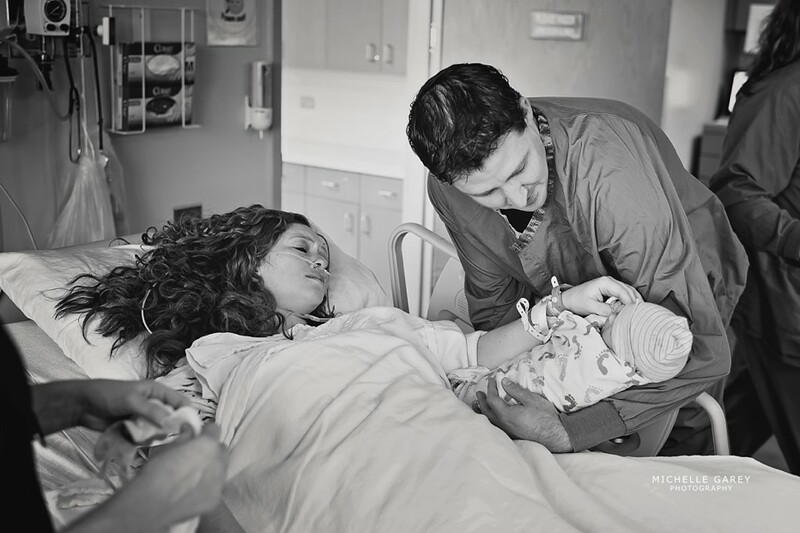 Birth Photography :: The Epitome of Narcissism? The internet is bustling with individuals who would love to throw the first stone. Or the second stone, or the last stone for that matter. As long as they're able to find something to pick at, and receive a modicum of validation, their appetite for criticism is satiated and their bellies are bloated with pride. While the reception towards birth photography has been overwhelmingly positive, encouraging, and delighted, more than a few times I have found people willing to poo all over my clients' decision to hire a birth photographer (internet people, mind you... not REAL people, not face-to-face people). One snide comment I've read is, "Wow, we really have to document everything these days, don't we? Can anyone say 'narcissism'?!" Let's take a look at the Why behind the decision to hire a birth photographer. Parents want to have those moments documented that they'd otherwise forget, or the moments they won't even notice, like the look on dad's face when he sees his baby for the first time. Moms miss that one a ton, because they're busy doing the coolest thing they've really ever accomplished EVER (in my humble opinion). I'll tell you what IS NOT a reason parents hire me: Narcissism. Parents don't pay me thousands of dollars to document their journey to parenthood... this whole new life... because they are wild narcissists. Their images are something that breach this time, this generation, and this single experience. It may not be the decision you would make, but it's not because you're less frivolous or more modest or have more sound judgement. My guess is that you simply perceive birth in a different light than they do. You know what I think we're doing by documenting and honoring our birth stories? I think we're raising a generation of children who have a profound respect for women, for birth, and for motherhood. I think we're raising children who won't view women's bodies as sexual objects. I think we're showing our children that BREASTS serve a purpose, and they're not solely for ogling. I think we're showing men how instrumental they are in the birthing process. I think we're empowering families as a whole by sharing our stories. I think we're showing women that birth belongs to them. That the beginning of life is not inherently an emergency. That they have options. That they can eat during labor, dance during labor, ROAR during labor, get an epidural and feel proud of it, squat, kneel, shower, walk, do head stands, soak in the tub, push on the toilet, have a baby in a car, have a baby in the backyard, have a baby in the ocean surrounded by dolphins, FOLLOW their impulses, listen to their intuition, rock out to Beyoncé during the most intense part of labor, tell the doctor, "No, that's not okay with me. ", celebrate their cesarean birth, celebrate their natural birth as an "obese" woman, and answer to NO ONE. Time for more iced coffee. . .:: I think part of the great beauty of birth is the unique nature of every woman's experience. Birth is such a whimsical thing. Just when you think you understand the progression of things, and you think you can guestimate what it might look like, birth teaches you that you don't know what the hell you're talking about. Humility is a lesson every birth worker learns during each and every labor. It's not a lesson that can ever be complete, I think. It's this constant teaching entity that reminds us we are small and we know so little. The human brain is compelled to believe that it has understanding, and if there's a vacant place somewhere in that fabric of understanding, the imagination patches the hole with unintended, ever so subtle arrogance. I think this expanding and contracting, growing large and then small again, cultivates wisdom, but that path to wisdom stretches out into infinity. Today I am humbled. I feel tiny. But more than ever, I'm in awe of birth. ::. . Here's a funny little fact about me: I have precisely zero children of my own. I've amply saturated my life with babies, birth, and pregnancy, but I have yet to experience what it's like to carry a child in my womb for 40ish weeks. I have yet to enjoy the radiating warmth that comes from simply touching my plump belly and imagining what life will look like. I have yet to learn the less glamorous aspects of childbearing. I have yet find myself challenged at my physical and mental capacity. To be stuck between the rock and hard place, perhaps questioning my ability to continue, just before reaching down to embrace my squishy, bluish, squealing infant, this person that is somehow mine and me and us through and through. I have yet to see my husband's reaction as he realizes that he's become a father... which is totally everything he desires right now. I have yet to spend my nights and days continuing to nourish this tiny person, learning patience and resiliency as we fumble through breastfeeding challenges. I wonder what it'll be like to find strangers casting judgmental stares in my direction as I feed my hungry baby at the table rather than on the toilet. I wonder what it'll be like to watch my child learn something new every single day, and to see the world anew through my child's eyes. Some birth photographers have argued that it isn't possible to be an empathetic presence and a truly successful birth photographer without having experienced pregnancy and birth first-hand. Mind you, these are people I have a high regard and respect for. My intent here is simply to offer a differing perspective. My hope is that I can serve as proof that such mindsets are inaccurate and lacking in empathy and understanding themselves. How on earth does a childless woman become a birth photographer? Perhaps the assumption is that one day I woke up, saw a birthy pic on the internet, extended my arms out in front of me like a zombie, drooled a little, and said, "BIRTH. COOL. I WANT." And BAM, I became a birth photographer. 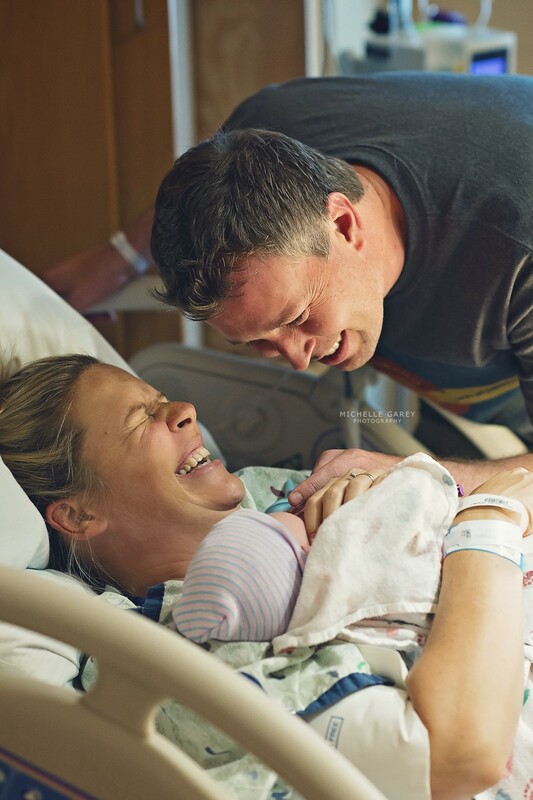 The story behind how I became a birth photographer is a very personal one. It's a twisty, turny path I was led down unknowingly, it's a defining story of difficulty and growth and hope. It's a story I'd be happy to share with you over coffee sometime. Another little fact about me: I feel more than most people feel. The emotions of others seem to imprint themselves on me, and rather than becoming overwhelmed by them, I become expressive with them. My sensitivity and empathy, along with heightened intuition, are things that cannot be taught. I'm proud to consider them gifts, and I'm happy to own them, particularly in the birthing space. It's these things that I hope define me and that make me a better birth attendant. It's these things that I hope my viewers can perceive through my work. This isn't to say that becoming a mother won't change me through and through, from who I am at my core, to what I produce in my work. And I admit, I come from a place of experience and knowledge in the birthing space, but of naïveté for all that it means to become a mother. You could say that I myself am a child, understanding new aspects of motherhood every day, deepening my well of empathy with every client, and looking into each new day like a wide-eyed child. My hope is that the intense awe (and "awe" is just the perfect word) I feel for every birthing mother is translated with clarity and done justice through my photography. Because she inspires me, I am compelled to tell her story with elegance and truth and beauty, precisely as I perceive it. No birth is "just another birth", "we've all been there, done that". Because I haven't been there! I haven't done that! She's amazing, she's a warrior goddess! She's an inspiration! And this amazing event I've come to witness is something I have yet to completely fathom. And if that's not BEAUTIFUL, I don't know what is. Let me pause to say that the ingredients that facilitate me as a birth photographer are not the ingredients for a standard birth photographer recipe. We are all creatives, shaped by the events of our lives, inspired by different sources, and driven by different passions. Ultimately, what you see in a photographer's work is their translation of an event... their telling of a story. I hope when you see my work, you feel the awe I felt for that mother as she birthed her child. I hope you're not blinded by my inadequacy as a childless photographer. I hope you see that rather than impairing my work, my unique perspective emboldens and inspires my work. Me and my newest little nephew!
. :: Every cesarean birth story is different. Some cesareans are emergent. Some are scheduled months in advance due to high-risk factors. Some are happy occasions, just the way you'd imagine any birthday party should be. Some are fraught with disappointment or guilt. Why would a momma be burdened by such heavy emotions surrounding the birth of her child? Because folks, a cloud of stigma lingers overhead. It grows larger and thicker with each unsolicited judgmental opinion, each wayward assumption, and often (YES, I'M GOING TO SAY IT) each heavily-praised account of a victorious, strong, courageous goddess birthing naturally. If we find room in our hearts to honor EVERY birth, squelching judgements and making space only for loving and healing thoughts, perhaps moms might allow themselves to feel pure, unabashed, untainted JOY for their births, regardless of the method. Please think twice before offering your opinions. We don't know her story. We don't know what thoughts or feelings reside in her heart. Sometimes even comments made with sympathy and good intentions can cut deeply and leave a lasting impression. Just a thought. ::. .